1. 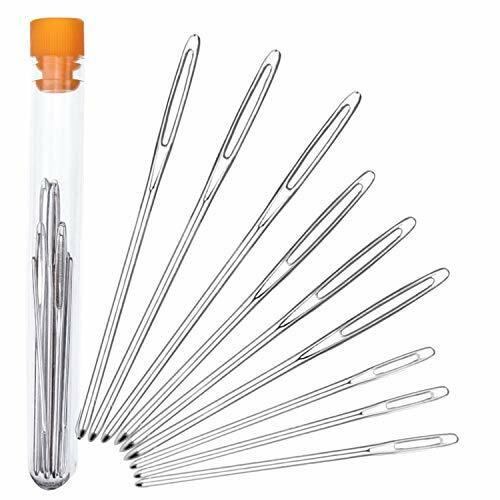 LARGE-EYE BLUNT NEEDLES: With extra large long eye, the stitching needles are easy to thread yarn through even without a threader. 2. WIDE RANGE OF APPLICATIONS: These needles are great for weaving in ends and sewing up seams on your knit & crochet projects. Also can be used for repairing a jute rug or mend vinyl upholstery and leather. 3. 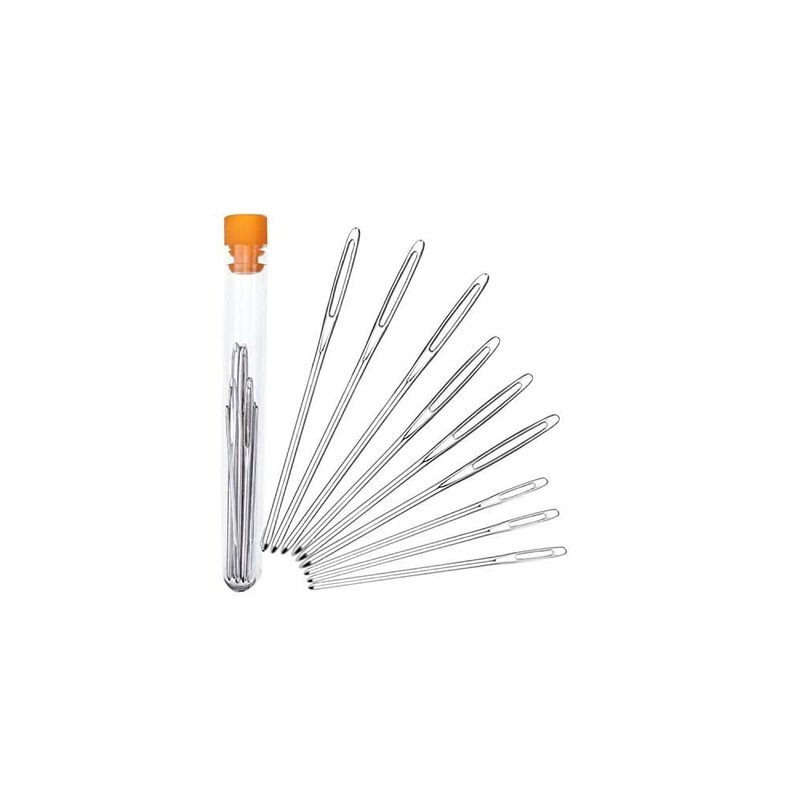 STAINLESS STEEL & RUSTPROOF: Our needles are made from durable stainless steel, which has a nonporous surface that is corrosion-free, meaning it will last for a long time without rusting. 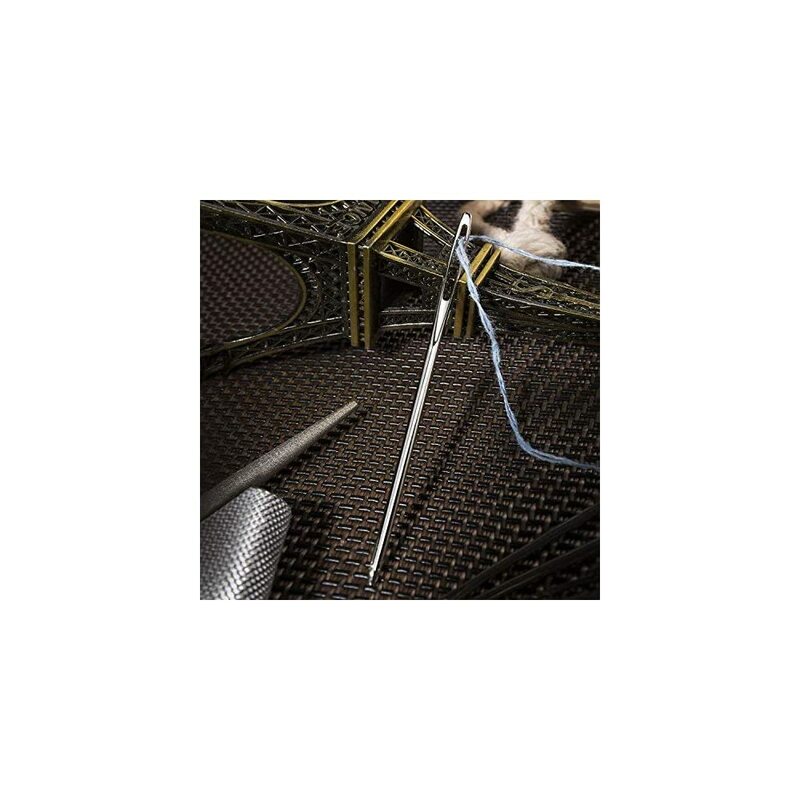 Our large eye blunt needles are good for weaving in ends and sewing up seams on your knit and crochet projects. The large eye blunt needles size: 3 x 5.2 cm/2.05 inch, 3 x 6 cm/ 2.37 inch, 3 x 7 cm/ 2.75 inch. 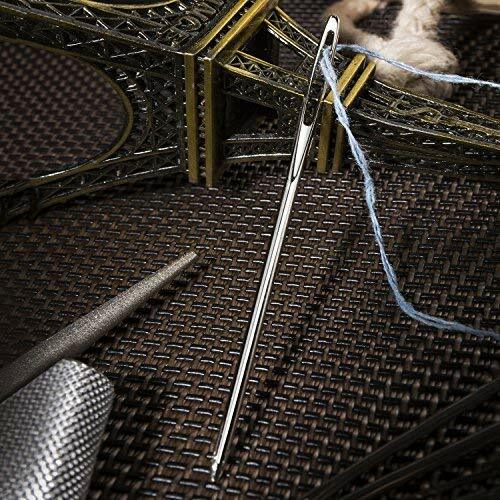 With extra large long eye, the stitching needles are easy to thread yarn through even without a threader. 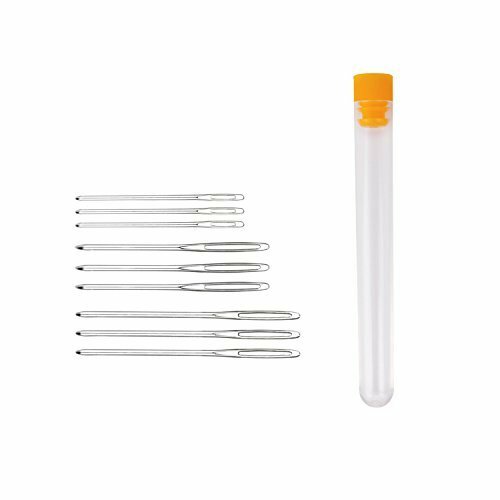 3 x 5.2 cm/2.05 inch Large-eye blunt needles. 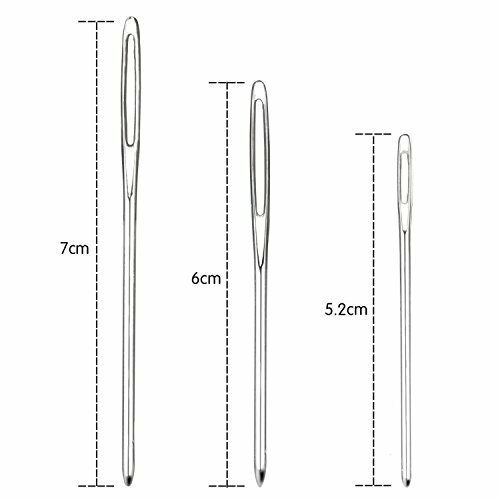 3 x 6 cm/ 2.37 inch Large-eye blunt needles. 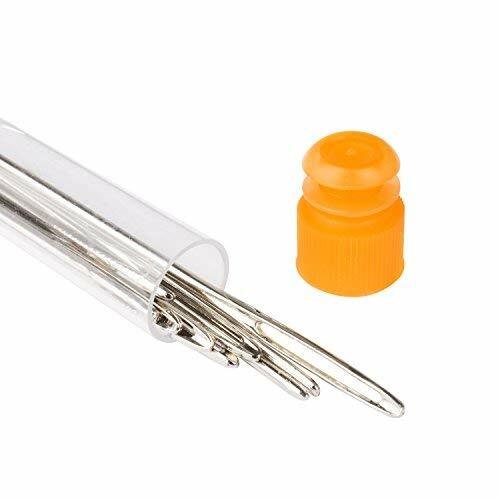 3 x 7 cm/ 2.75 inch Large-eye blunt needles. 4. 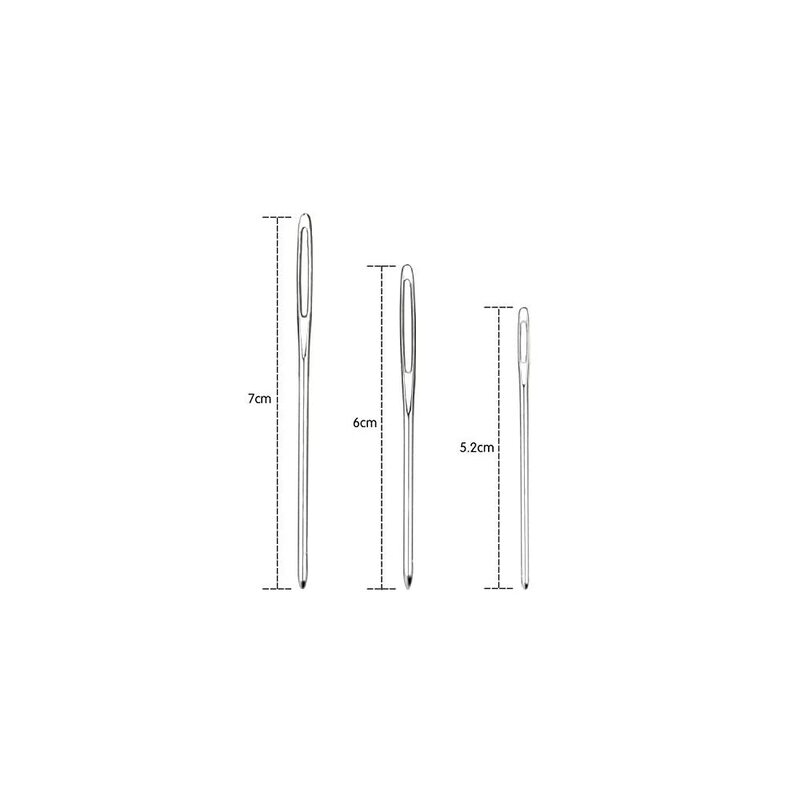 GOOD SELECTION OF NEEDLE SIZES: 3 x 5.2 cm/2.05 inch, 3 x 6 cm/ 2.37 inch, 3 x 7 cm / 2.75 inch. Great choice in size is just what you needed for your project. 5. 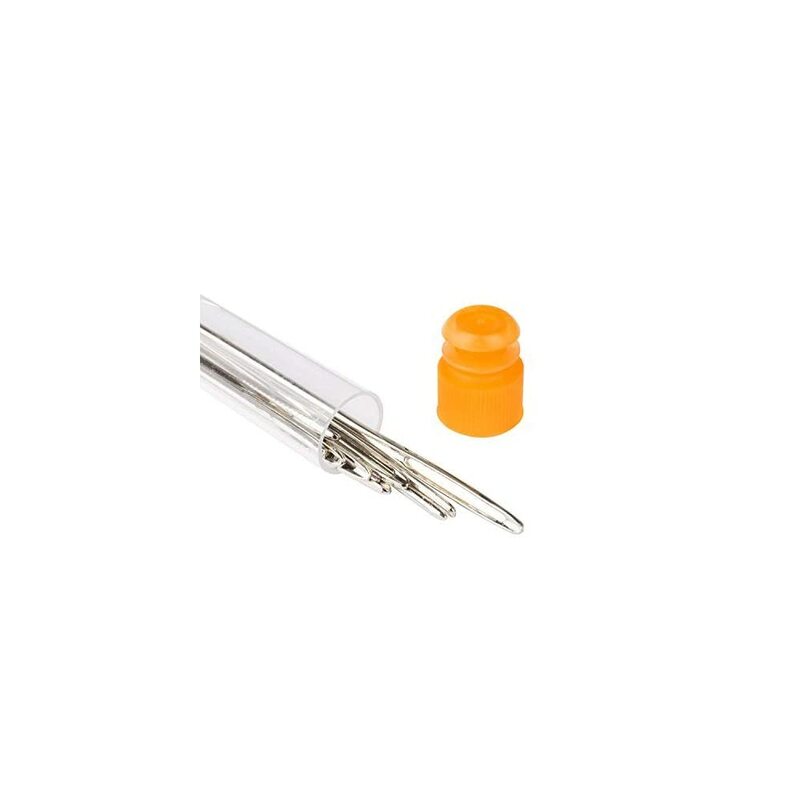 EASY STORAGE: These large-eye needles provide with clear bottle and white zip lock bag. You don’t need to worry about it will drop on the floor or loss in a corner. you can never have to many. love the big eye and doing flowers on old sweaters. Then glueing on a pc cardboard. then on to my homemade cards.